Norma Panagakos is the Founding Principal of New Horizons Preschool. Norma has over 20 years’ experience working in the Early Childhood Education and Care sector in Tasmania. She has a Master of Teaching from the University of Tasmania and has been on her exciting journey of collaborating with children and families for over 20 years. Norma established New Horizons Preschool in 2004 as a small home-based service operating 3 mornings per week. In 2006 she opened the Lenah Valley campus to create a preschool setting centred on a strong ‘image of child’, relationships, collaborative approaches, active participation, and The Hundred Languages of children. Norma was part of the Australian contingent on the Reggio Emilia International Study Tour in 2016, where she drew further inspiration to open the Battery Point Campus in 2017, ultimately achieving her vision to create an innovative and progressive preschool inspired by the Reggio Emilia Educational Project. Establishment of the Battery Point campus, with its unique and intentionally designed Atelier studios, introduced a new and unprecedented concept to Tasmanian early years education. Norma is a passionate advocate for early childhood education and for children’s participatory rights in both schools and the wider community. She has a keen interest in engaging and collaborating with others to continue influencing and inspiring children’s learning and wellbeing within Tasmania. Norma’s mission is to re-define traditional ideas of ‘classroom-based’ learning to create dynamic, inspirational and inclusive learning spaces which support a rich culture of participation, where all children are supported and empowered along their individual journeys of life long learning. Lou Thorpe has over 20 years’ experience working in Early Education in Tasmania and overseas. She has a Bachelor of Arts, Diploma of Education and a Graduate Certificate in Education from the University of Tasmania. Lou has been a committee member of the Tasmanian Reggio Network group since 2010. 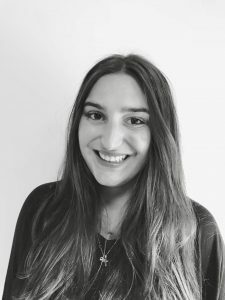 In 2011 Lou was a delegate on the International Study Tour to Reggio Emilia and she was awarded one of five REAIE Professional Development Scholarships in 2016. Lou has several published articles and co-authored a book chapter on Early Childhood Education, The Reggio Emilia Approach and Inquiry Projects. 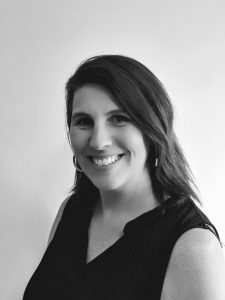 She has co-authored and conducted professional learning sessions for New Horizons Preschool, along with other professional learning events for Reggio Emilia Information Exchange, Australia. Lou is continually influenced and challenged by the Reggio Emilia Educational Project. She is passionate about democratic classrooms, the pedagogy of listening and inquiry approaches. Lou is inspired by democratic models of education and is and advocate for collaborative dialogue with staff, children, families and the community. She is committed to inclusive education, where all children are respected, have participatory rights and are considered competent. Mel Hilder has over 23 years’ experience working in Early Childhood Education in Tasmania. Mel has participated in a number of Australian Study Tours such as Tasmanian Educators Study Tour to Melbourne in 2009, where she visited Cornish College and St Leonards. She has also been fortunate to be a delegate on the past four REAIE Biennial conferences – to South Australia, ACT, Victoria and NSW. In 2018 she was a delegate on the International Study Tour to Reggio Emilia. She worked to develop and implement Australia’s first Intergenerational Care Program and has presented at various interstate conferences. Mel co-authors and presents professional learning for New Horizons Preschool. She is passionate about the Reggio Emilia Educational Project, the image of a competent child and collaborative work environments. Kathryn Whittle has been working in the Early Education and Care sector for the past 10 years, joining the New Horizons team in 2015. Kathryn has always focused on the magic of childhood, a love of learning and a desire to create change. She is passionate about the possibilities of re-imagining early childhood education and she continues to advocate for children being active participants within the community. Kathryn strongly believes that each child holds the key to unlocking their own unique potential and our role, as co-researchers is to listen, to foster and to learn alongside children. David Gilkes has been an early childhood educator for 25 years, working mainly as a teacher but also as a Centre Director, Consultant and an Early Years Network Leader. He has had the privilege of working alongside 3 – 6 year olds and their families both in Tasmania and Canberra. David possesses a Bachelor of Education, as well as a Master of Early Childhood Education. His research focus for his Master’s Degree was “Parent Perspectives on Beauty and Aesthetics in Australian Early Childhood Settings”. David is passionate about rich, meaningful inquiry experiences, co-constructed in relationship with children, families, other educators and the environment – encounters with joy, research, creativity and wonder. He has been inspired and challenged by the Reggio Emilia educational project, and its provocation for the Australian context, for many years. David is currently convener of the Tasmanian Reggio Emilia Network and has been fortunate enough to have participated in Study Tours and professional learning in this northern Italian city on five occasions. He has given countless presentations and run workshops for teachers and families on behalf of various organisations around the country. In 2014, David was awarded a NEiTA (National Excellence in Teaching) Award for Innovation in Early Childhood, granting him the opportunity to visit Forest Kindergartens in Denmark. He has mentored education students at Monash University in Melbourne and has articles published in several journals and books. 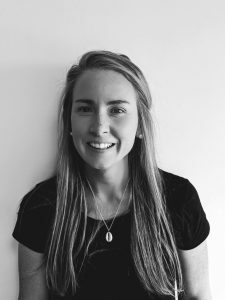 Chelsea Browning joined the New Horizons team in early 2017 and she has completed a Bachelor of Primary Teaching, Sport and Outdoor Recreation from Monash University. In 2017 Chelsea completed her Graduate Certificate in Early Years Education and Care with Griffith University. Chelsea has over 11 years’ experience and has held numerous roles within Early Childhood Education. Chelsea has been inspired and provoked by the many challenges that the Reggio Emilia Educational Project offers to educators. She is passionate about fostering children’s abilities to become active and participatory citizens, both now and for the future. Chelsea places great significance on the theory of The Hundred Languages and is committed to providing a range of experiences and opportunities for children to express their voices and theories in a multiplicity of ways. Meredith Kimbell has over 12 years’ experience working in Early Education and Care and joined New Horizons Preschool in 2015. She has a Bachelor of Arts, Masters of Teaching and Graduate Certificate in Early Childhood Education and Care. The Reggio Emilia educational project has inspired Meredith to work alongside children as citizens of the present and active protagonists of their learning. She is committed to empowering children to engage in learning through inquiry-based pedagogies and co-researching with children to embrace a world of possibilities. Meredith is delighted to be experiencing her pedagogical journey with New Horizons Preschool. Jo Gutierrez has been part of the dedicated team of educators at New Horizons Preschool for the past five years. She has a Bachelor of Art Education and a Bachelor of Design from the UNSW College of Fine Arts. 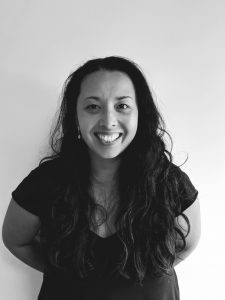 Jo has worked in multiple roles as an Early Childhood Educator, Secondary School Visual Art Teacher and a Graphic and Object Designer. Currently, she is the Atelierista across both campuses at New Horizons. Jo’s role is to work alongside the educators to support the children and provide opportunities for them to express ideas and explore a variety of art media. 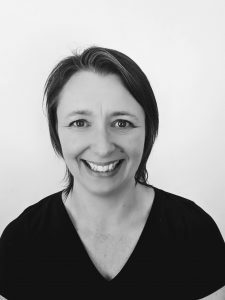 Jo is passionate about the language of creative arts, creating pathways for educators and children to connect, whilst fostering artistic and imaginative thinking. She is committed to honouring The Hundred Languages and she feels privileged to be able to collaborate with and learn from her fellow researchers, designers and artists; the children. Jana Panagakos has a Bachelor of Psychological Science from the University of Tasmania, and is currently completing a specialised post Graduate Diploma of Therapeutic Child Play at Deakin University. 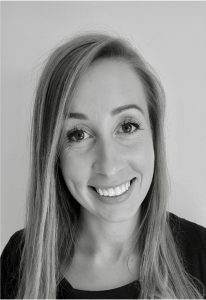 She has worked as a child therapist and early childhood educator for 5 years, empowering children to access their natural tendencies for play to resolve difficult experiences, expand upon social skills, enhance relationships, build self-regulation skills and self-belief in their abilities. Jana believes in the importance of a child’s early years as a crucial time for their holistic development and in creating the foundations of a resilient adult. Experience as both a therapist and an educator have shaped her personal philosophy that each child’s self-discovery can be explored and developed through play. Jana’s passions include early childhood development, a holistic approach to mental health and wellbeing, inclusion and individualised learning. She is an enthusiastic advocate for promoting a strong image of child and viewing all children as capable and resilient citizens with individual rights. 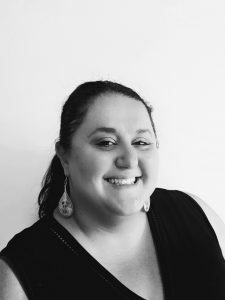 Anna Moshovakos has 19 years’ experience as an Early Childhood Educator in Melbourne and Hobart, completing her Diploma of Children Services in 1998. She joined New Horizons Preschool as an educator in 2009, leaving in 2014 to manage her family business. In 2017, Anna re-joined the New Horizons family, and is currently based at our Lenah Valley campus. Anna believes that each child is unique, and every educational journey is different. She believes that a child’s possibilities are endless and are developed by enhancing relationships, building resilience and allowing children to develop a strong sense of belonging. 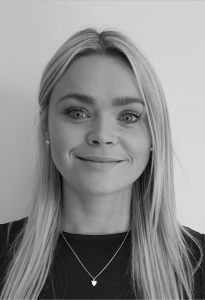 Anna is passionate about working alongside other educators to further enhance and build collaborative relationships and interactions between children, staff and families. Anna Peacock has a Certificate III and Diploma in Early Childhood Education and Care. She has 7 years’ experience working in Early Childhood Education and is a full-time educator at the Battery Point Campus, joining the New Horizons team in 2017. Anna is passionate about and skilled in creating beautiful and welcoming learning environments which engage and provoke the children. She is inspired by art, design and architecture. Anna believes that multiple languages have a powerful, expressive capacity for children to express their theories and understandings of the world and that the atelier, or art space, is a place to develop aesthetic research. She is also interested in utilising digital technologies to exhibit the children’s wonderings, thoughts and learning journeys. Ellie Ferguson joined New Horizons Preschool in 2018. She has a Certificate III and Diploma in Early Childhood Education and Care and has over 10 years’ experience working with young children. She is excited to be a part of the New Horizons team and to continue her journey with the values and principles of the Reggio Emilia Educational Approach. Ellie possesses a caring nature and an innate ability to connect with families and children. She is passionate about working alongside the children and advocating for their voices to be valued and heard within the wider community. Ellie is interested in fostering independence and resilience in children, through supportive and positive relationships. Katerina Gavalas joined New Horizons Preschool in 2007. She has a Diploma in Early Childhood Education and Care, and has 30 years’ of varied experience in working with young children between the ages of 8 weeks to 5 years. Katerina is passionate about working in collaboration with children, families and educators, respecting their individuality, diversity and inclusion. She is inspired to create engaging learning spaces for children, and to foster their relationship with materials to facilitate their curiosity and learning about the world around them. Katerina is a passionate advocate for embracing the joy, magic and wonder of early childhood. 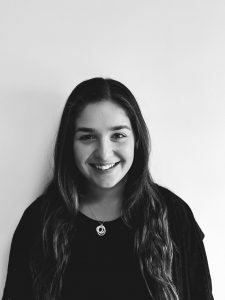 Kika Moutsatsos joined the New Horizons team in 2018 and has been working alongside children and staff in the Preschool and Inquire 5 classrooms. She is passionate about the Performing Arts and has been dancing since she was 3 years old. Kika values the central role which dance and movement offers children, enabling opportunities for expressing ideas and theories through physical languages. She is currently working towards completing her Certificate III in Children’s Services. Kika is enroled in a Bachelor of Education, commencing in 2019, with the University of Tasmania and will continue to work part-time at New Horizons. She is excited about the next stage of her educational journey and her future in teaching. Kristy Sumpton has been working in Early Childhood Education for 8 years, joining the New Horizons team in 2016. Kristy has worked within a variety of settings and with different ages of children, ranging from birth to five years. Kristy completed a Certificate III in Children’s Services and is currently working towards her Diploma in Early Childhood Education and Care. 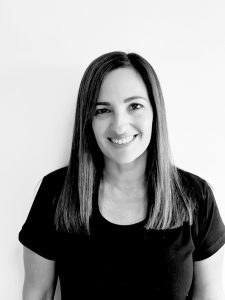 Having worked with other educational frameworks, Kristy is an advocate for and passionate about the Reggio Emilia Educational Project. She is enthusiastic about co-researching alongside staff and children. Kristy is passionate about developing relationships with the children and families to enable a collaborative and nurturing learning environment. Liz Wakefield holds a Certificate III in Children’s Services and has been working in Early Childhood Education for 6 years. Liz joined the New Horizons team in 2018, and is a dynamic and energetic educator who is passionate about life, adventure and learning. The Reggio Emilia Educational Approach challenges and inspires Liz to work alongside children in reciprocal, respectful partnerships. She is excited by children’s thinking, zest for life and their wonder of the world around them. Liz has a strong image of children as capable and competent learners and is thrilled to work alongside them during the early years of their educational journey. She is passionate about forming meaningful connections with all children and families. Tina Wang joined the New Horizons team in 2018 and is a passionate and dedicated member of our staff. In 2014 she began the Master of Early Childhood Education at Tianjin University of Science and Technology. This course was collaboratively conducted with the Education Department of the University of Houston, Texas. Currently, Tina is undertaking the in-service Certificate III course, whilst working alongside the experienced educators at New Horizons. 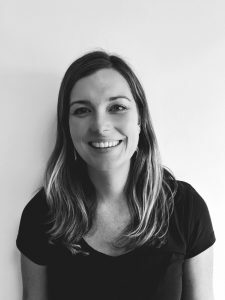 Tina is passionate about theoretical perspectives and is interested in educational and psychological theories on cognitive learning processes, motivation and neuroscience. She is inspired by what she has learned during her study and in applying this knowledge to her practice in early childhood education. Tina is a cheerful and motivated educator and she believes that all children inspire her to further her own pedagogical and theoretical understandings and professional development. Rachel Payne has been an Early Childhood Educator at New Horizons Preschool for 7 years, joining the team in 2011. She began her career in business services and is excited to be able to support our families and staff in her new role as Administrative Assistant. 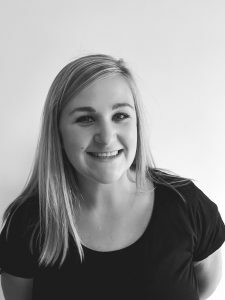 Rachel enjoys working alongside the creative staff and children, across both campuses at New Horizons Preschool. She is inspired by children’s honest and authentic perspectives on the world, their ability to marvel and wonder, and their joy of learning. Rachel is passionate about creating positive, caring relationships with families and children and has a strong image of a competent child. Nick is also the boss and he makes people happy by fixing things. He is always a nice person.